The former Government Leader in the Bermuda Senate and Minister of Legislative Affairs, from 1986 to 1996, Lynda Milligan-Whyte is also a former Director of the Bermuda Stock Exchange. She currently serves as a non-executive Director of the Bermuda Monetary Authority, which regulates the financial services industry in Bermuda. Lynda is a founding member of Apex Law Group Ltd.
Lynda successfully earned four degrees, her B.A., B.Ed., M.P.A. and J.D., at Queen’s University in Ontario, Canada. In 2010, her LL.B. law degree from the same institution was converted to a Juris Doctor degree (J.D.). She served on the Queen’s University Board of Trustees for several years before being appointed to the Bermuda Senate by the island Premier in 1986. Lynda offers her broad range of legal, regulatory and political experience to the advantage of her clients. Having commenced her professional career at the Ontario Securities Commission prior to joining one of the largest Bermuda law firms, Appleby Spurling & Kempe in 1983, she spear-headed the founding of Milligan-Whyte & Smith in 1988. 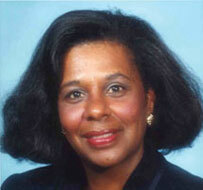 She led the development of its corporate department until 2002, when she founded Apex Law Group Ltd. The firm is ‘client driven,’ offering a unique approach when advising clients on legal matters in Bermuda, including establishing a company and seeking regulatory approvals for insurance, investment firms or collective investment schemes. Lynda has been responsible for a number of Bermuda business initiatives in the area of trusts, investment banking, commercial real estate development and telecommunications. As the attorney for an island telecommunications company in the 1990s, she assisted it in obtaining its license and raising capital from the public necessary to lay a ‘fibre-optic’ cable between Bermuda and New Jersey. This helped Bermuda to become one of the most wired jurisdictions in the world. Lynda’s business experience includes serving as Director of a Bermuda-based Private Trust Company that managed over US$9 billion in family trust assets and being appointed a Director of The Bermuda Stock Exchange, Bermuda Electric Light Company, Bermuda Broadcasting Company and Matheson Investment Management (Bermuda) Limited. She is also Director and Co-Chair of the World eCommerce Exchange. Lynda has authored several publications on Bermuda law and serves as Bermuda Contributing Editor of Offshore Investment Magazine. She has represented Bermuda and been a Speaker at the World Economic Forum in Davos, Switzerland and at many other world-class conferences around the world. For further information on Lynda Milligan-Whyte’s background, please view her more detailed curriculum vitae (–> link to .pdf). Learn more about Apex Law Group Ltd. or meet our legal team. View our range of administrative and corporate services or contact us to schedule a consultation.